At Corstorphine Chiropractic we welcome all members of your family from ages 0 to 99+yrs. The clinic has been based in Corstorphine for almost 10 years. We’ re a small, friendly team consisting of two experienced Chiropractors Georgina and Colin, and two reception staff, Pamela and Jacqui. All of our Chiropractors are registered with the General Chiropractic Council, and are members of either the Scottish or British Chiropractic Association. We offer extended clinic hours to include evening and weekend appointments and we are recognised by most health insurance companies. Chiropractors are trained to recognise and treat problems relating to the musculoskeletal system, which is the skeleton and supporting tissues such as muscles and ligaments. Although we are best known for our care of low back pain, you can consult a Chiropractor when you have a problem with any part of your musculoskeletal system. At Corstorphine Chiropractic we offer not only manual treatment, but a package of care which includes advice on self-help, therapeutic exercises and lifestyle changes. 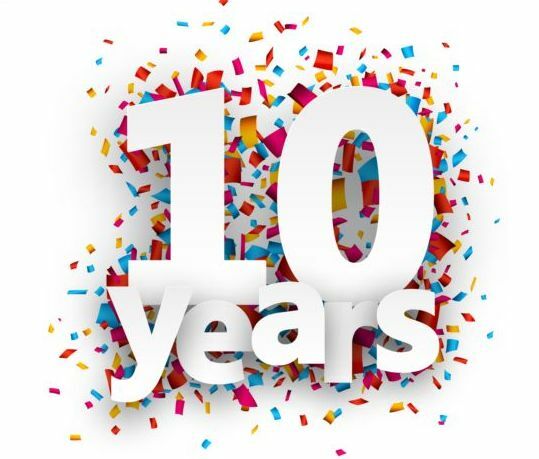 2019 marks our 10th birthday! And to celebrate we’ve put together a full history of our clinic, just for you!